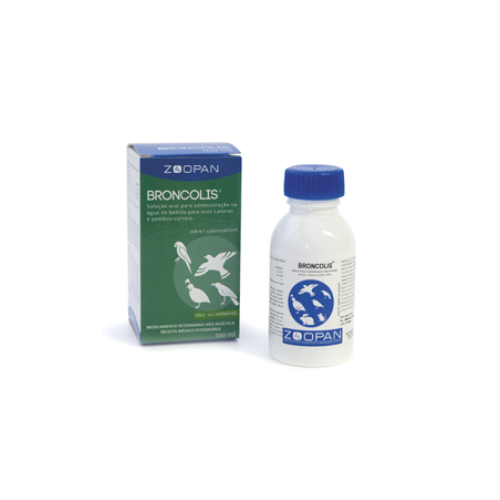 Broncolis 100ml by Zoopan is indicated for the treatment of respiratory diseases have an antiseptic action airway, a bronchodilator effect and loosen mucus. 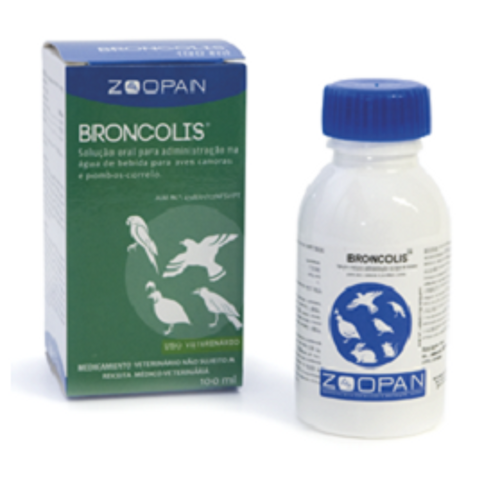 It can be used in combination with antimicrobials to treat respiratory diseases, where there is a change in the function of mucociliary transport and production of viscous mucus agents. The stimulating expectorant frequently used for the treatment of cough associated with chronic lung ailments. - disinfects the respiratory tract. - cleans the top respiratory tract, facilitating this way a breathing more fluid what it favors the entry of oxygen to de blood with the consequent increase of the physical performace. 1 - 2 cc. per litre of drinking water during 3-5 consecutive days.